$10 - Day use, $20 camping. Call for teepee and cabin rates. Dogs allowed, leash required, additional fee for dogs. 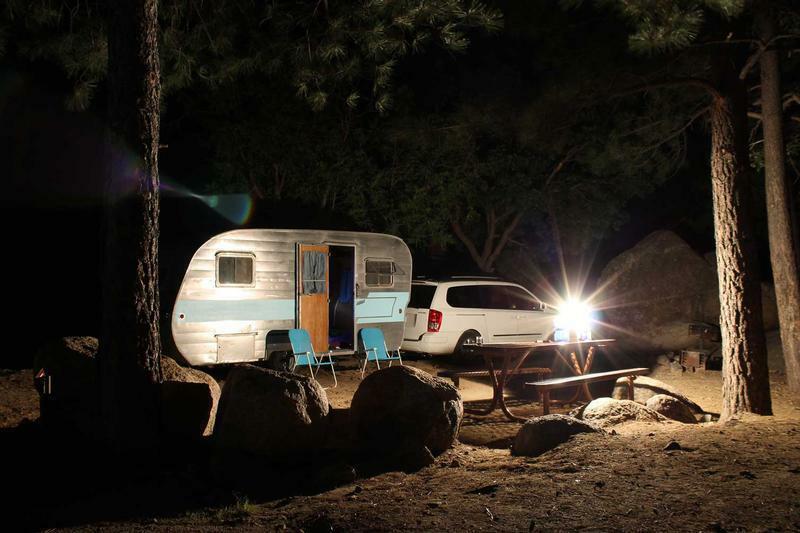 Hualapai Mountain Park has several camping sites that can accommodate tents and small trailers. Restroom and water access nearby. 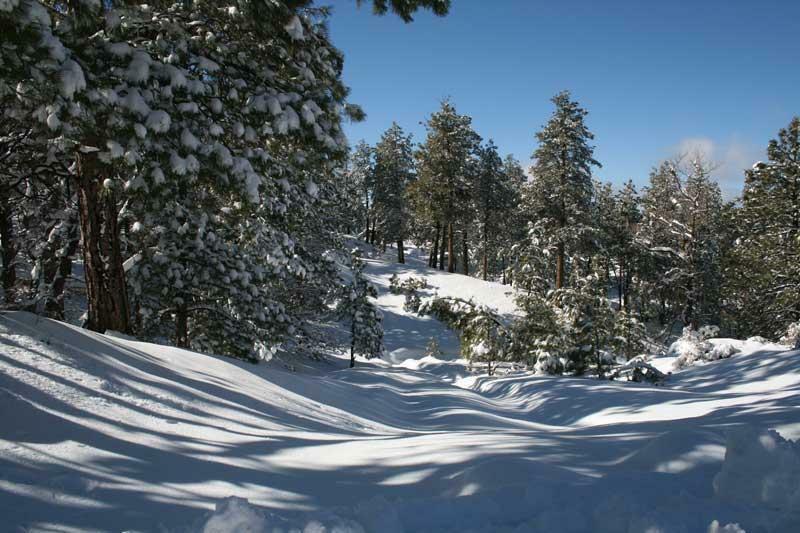 The Hualapai Mountains are home to elk, mule deer, fox, raccoon, squirrels, chipmunks and skunks. There are also a variety of songbirds and birds of prey including hawks, owls and an occasional Golden Eagle. Enjoy majestic views, hiking, picnicking, camping, wildlife viewing, biking or cabin rentals in this county park nestled in the forest. Higher elevations are home to mule deer, elk, mountain lions, foxes and a wide variety of birds. Hiking trails wind up Aspen Peak and over to Hayden Peak. Stay at the nearby Hualapai Mountain Lodge. 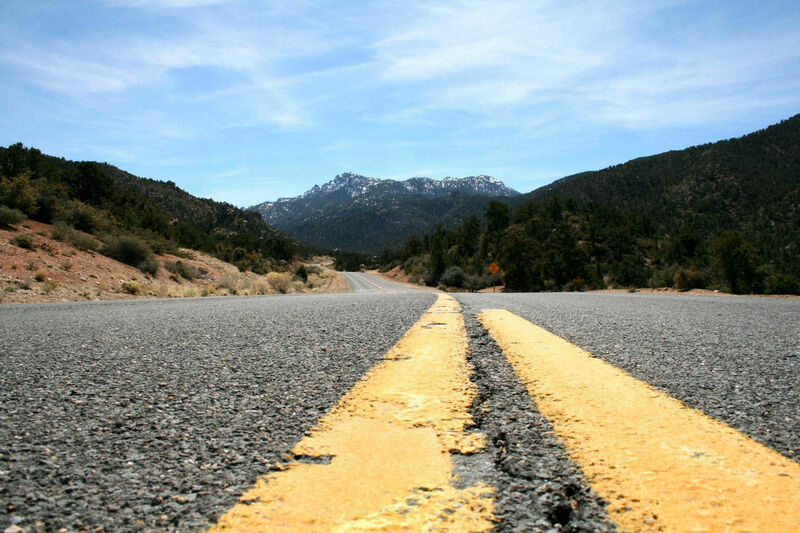 History: The name ‘Hualapai’ is derived from the word for “People of the Tall Pines” for the Native American tribe that once called these mountains home until they were relocated by the military in the 1870s. In the 1930s the Civilian Conservation Corps (CCC) developed the Park’s roads, trails, picnic areas, camp sites, stone cabins and pavilions which remain much as they were, giving the Park a unique character all its own. 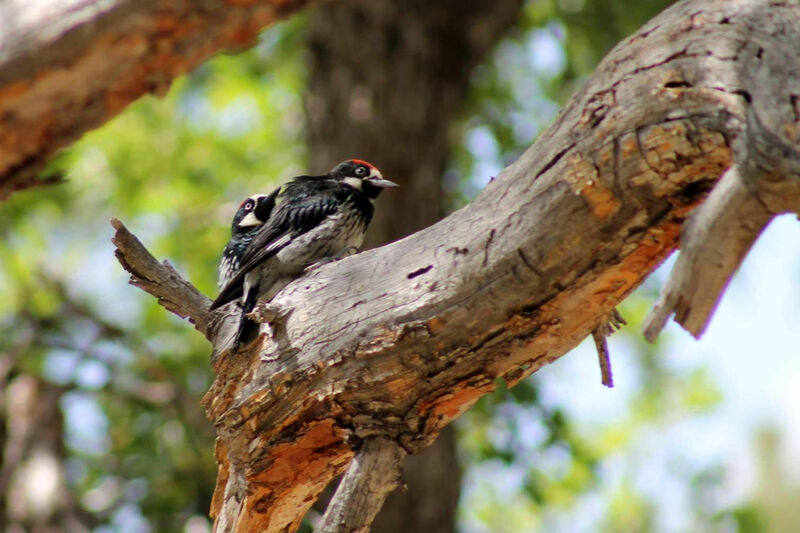 Wildlife Viewing: Hualapai Mountain Park is home to elk, mule deer, fox, raccoon, squirrels, chipmunks and skunks. There are also a variety of songbirds and birds of prey including hawks, owls and an occasional Golden Eagle. 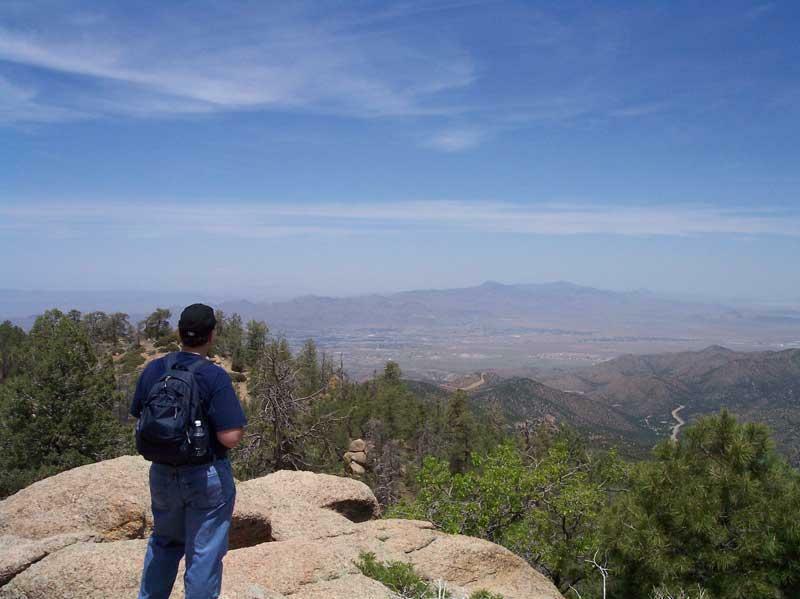 Hiking Trails: Take a hike on one of 14 trails. These include 6 miles of developed trails and 10 miles of undeveloped trails ranging from elevations of 6300 ft (1920 m) to 8240 ft (2516 m). Enjoy the cool shade of Ponderosa Pine, Pinion Pine, White Fir, Aspen, Gambel, Scrub Oak and Manzanita, among granite rock formations. Camp Sites: Over 70 individual camp sites are available in three separate areas. Grills and picnic tables are included at all sites and a limited few have water (no showers available). Cabins: Stay in a rustic stone or wood cabin that will sleep from two to ten people. All cabins include beds, tables, cook stoves, refrigerators, heaters, electricity, bathrooms, showers, hot and cold water, and some have fireplaces or wood stoves. Each cabin also has a BBQ grill and picnic table. Users provide their own bedding, towels, cooking utensils and dishes. Advance reservations are advised. RV Sites: A scenic mountaintop RV park is available with 35 spaces that offer water, sewer, electricity and grills. The RV park is closed in the winter months except for four sites. Ranger Station open 9am-5pm daily. Day use is 7am – 7pm, year-round. Scenic Drive, Picnic Areas, Wildlife Viewing, Frisbee Golf, Hiking Trails, Camp Sites, Historic Cabins. 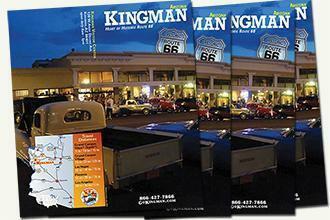 From the Powerhouse Visitor Center in Kingman, head east on Andy Devine Avenue (Historic Route 66), turn right onto Hualapai Mountain Road and follow it for 14 picturesque miles to Hualapai Mountain Park. 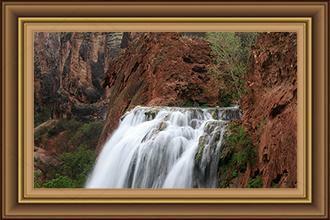 Thank you for visiting http://www.gokingman.com/day-trip-Hualapai-Mountain-Park! Be sure and revisit gokingman.com frequently for content updates and more.